FRENCH Railways SNCF bought hundreds of diesel locos in the 1960s and 70s to replace steam on lines that were not electrified. 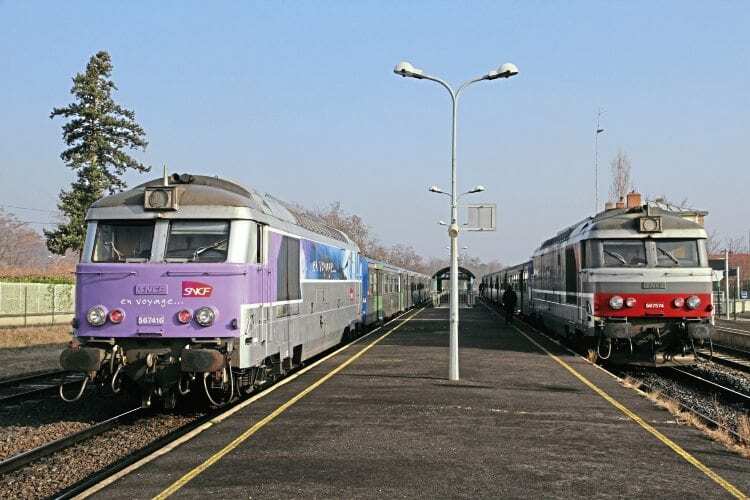 Several types were introduced, but the majority of those which have remained in use into the 21st century, operating passenger services, are the BB67400 Bo-Bo design, once found all over France; 232 were built between 1969 and 1975. The similar, but slightly older BB67300 class, is no longer found operating passenger trains anywhere (although older BB67200 locos remain in use as TGV rescue locos, located at depots near high-speed lines). From December 2016 small numbers of BB67400 are still scheduled to operate regional services around Strasbourg, in eastern France, and Clermont Ferrand, in the centre of the country; in both cases new Regiolis bi-mode units will probably replace the locos during 2017.